The Bay Area—chiefly San Francisco, San Jose and Vallejo—is on a hot streak, with no pointers to a slowdown this year, according to data newly released from realtor.com®. In January, homes in the San Francisco-Oakland-Hayward metropolitan area lasted a median 39 days on-market; in the San Jose-Sunnyvale-Santa-Clara metro, a median 33 days; and in the Vallejo-Fairfield metro, a median 44 days. 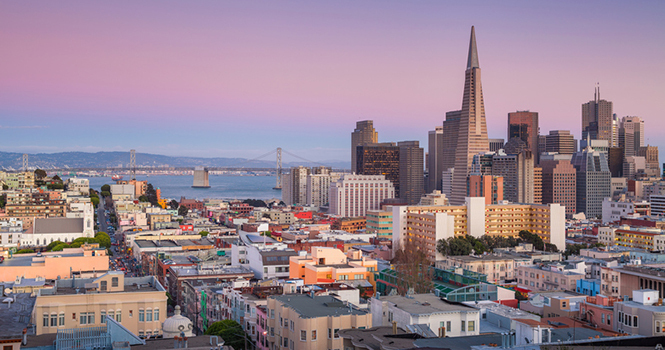 How does the Bay Area compare to the rest of the U.S.? In January, days on market nationally registered at 89—an astounding 56 days, or almost two months, more than in the San Jose metro, the fastest of the month. The Hotness Index is based on demand, measured by realtor.com views, and supply, measured by days on market.